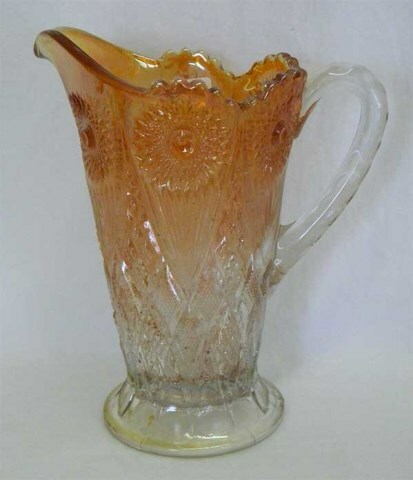 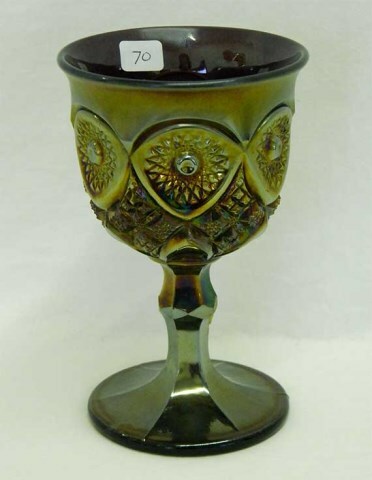 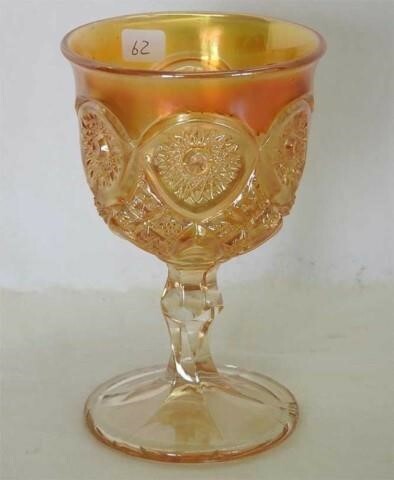 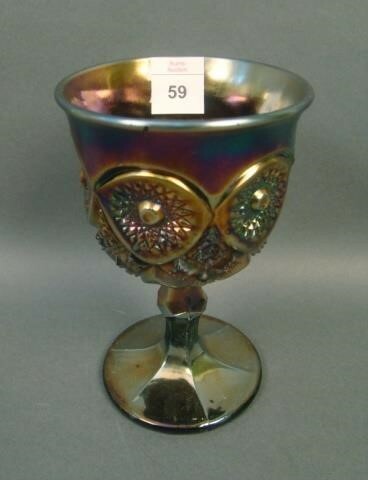 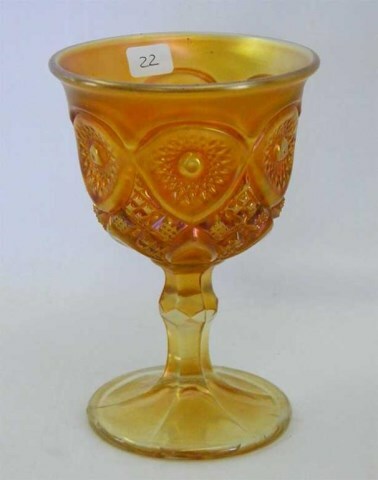 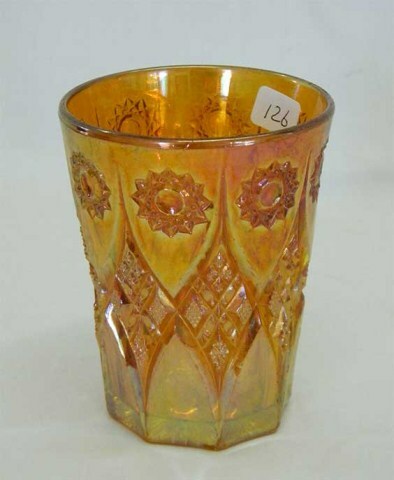 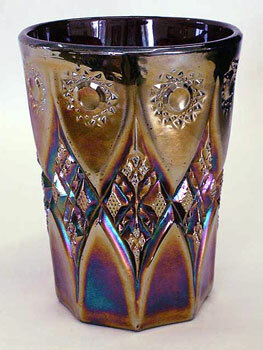 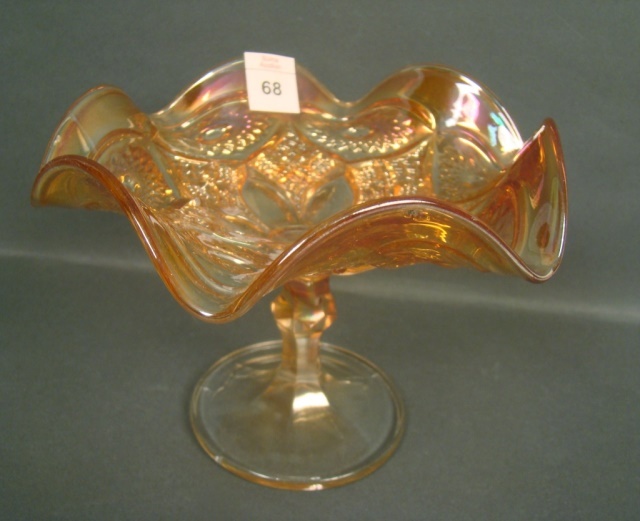 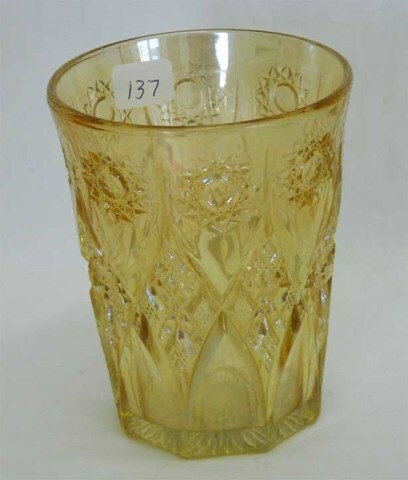 A scarce pattern, known in this goblet and water set pieces. 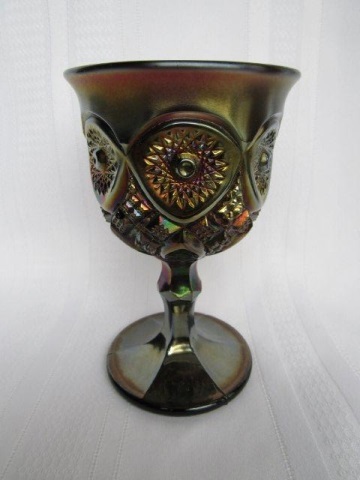 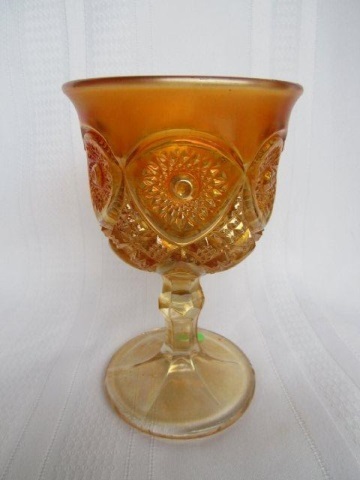 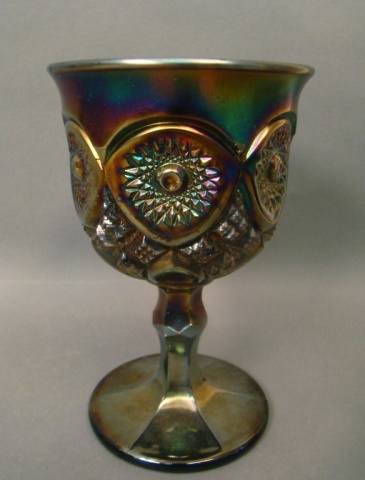 The height of goblet is 6 inches. 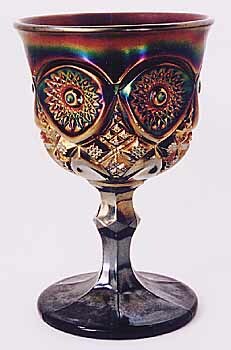 As scarce as the goblet is, only a couple of the tumblers exist.